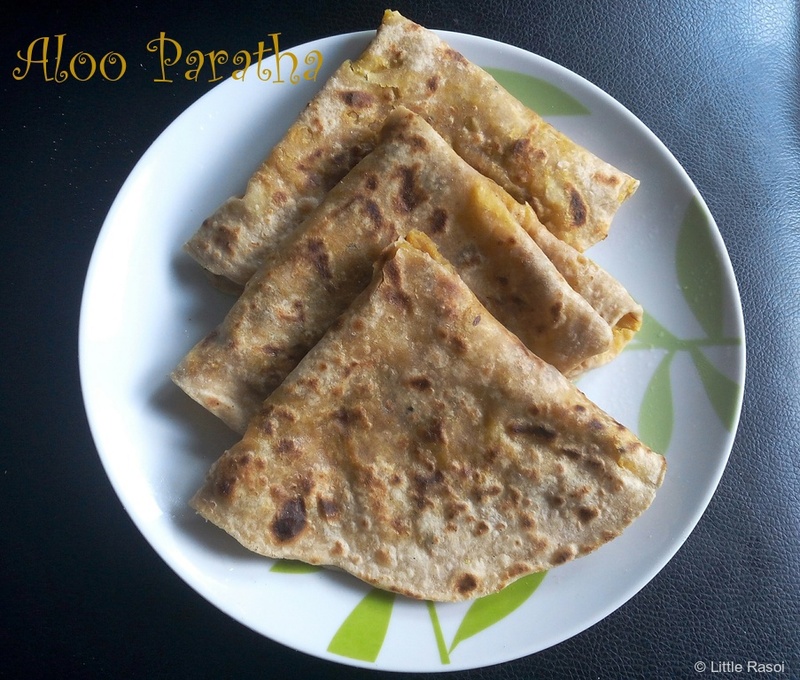 Aloo paratha is a kid friendly recipe. Pack your kids tiffin box with these parathas along with some ketchup. I am sure you will find their tiffin box empty. Kids will enjoy having them. 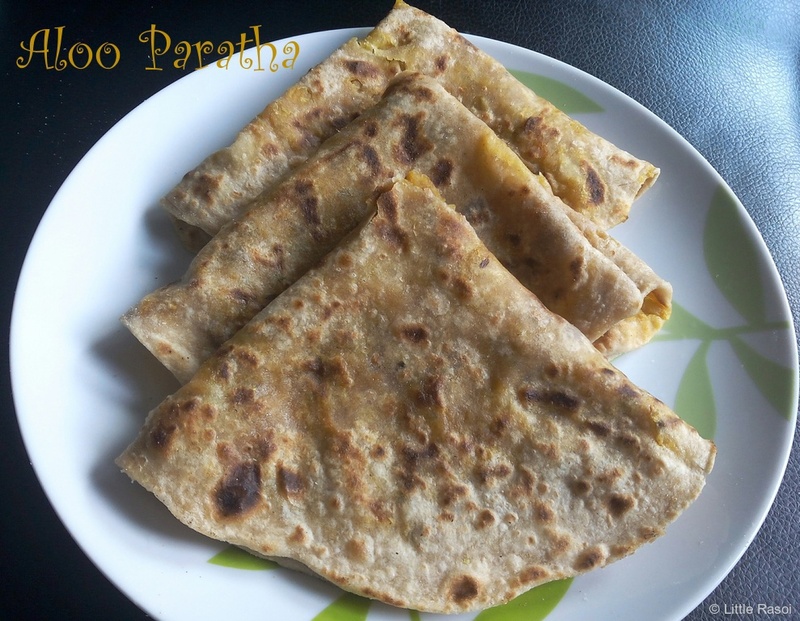 This is one of my favourite parathas, I cant stop eating them 😋 The stuffing which I am using for the parathas is a multi purpose potato curry. We can make different snacks out of it, like aloo bonda, aloo cutlet, potato sandwich and also can be eaten with chapatis as well. I usually make a big batch of potato curry and use it for making different snacks. 2. Boil the potatoes in a pressure cooker for 3 whistles. Peel and slice the potatoes, Keep aside. 3. 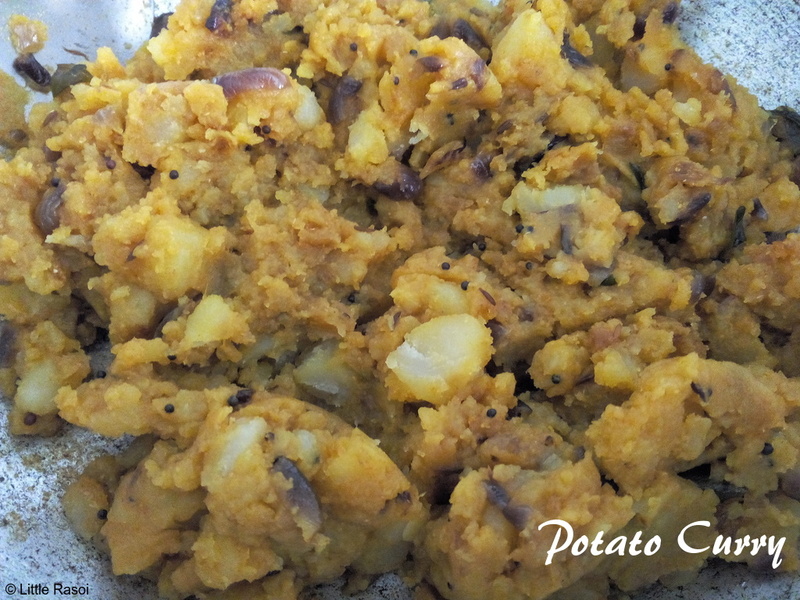 To make the potato stuffing, heat oil in a kadai, add cumin seeds, mustard seeds, when the mustard seeds splutter, add hing, curry leaves, onions, green chillies. Fry till the onion becomes light brown in color. Add ginger garlic paste and fry for 30 seconds then add red chilli powder, turmeric powder, mix and add sliced potatoes, combine everything well. Close the lid and cook for 5 minutes on slow flame, mixing in between. Now add salt, coriander powder, coriander leaves, lemon juice and mix well. Close the lid and fry for another 5 minutes on slow flame mixing in between. Keep aside to cool. 4. Knead the flour dough again to make it smooth and make equal sized balls. 5. Now take a dough ball, divide it into two. Make two small round shaped chapati. Spread the aloo stuffing evenly on one chapati and place the other chapati over it, press in the middle with your palm to remove air bubbles, dust little flour then roll it lightly without much pressure making the chapati even. 6. Heat a tawa and place the chapati on it and cook for a minute, flip it and apply oil or ghee, the lower side should be cooked then flip again apply ghee and cook it well. 7. Serve the parathas with pickle or curd.